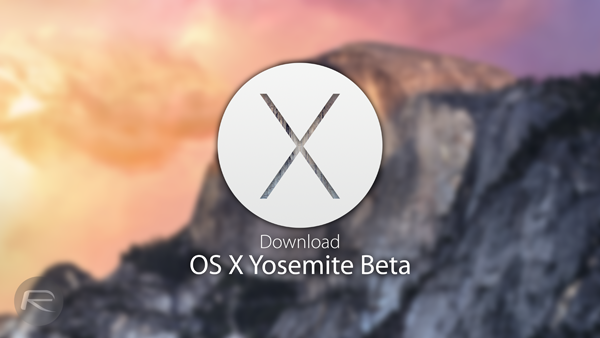 Download And Install OS X Yosemite Beta Right Now For Free, Here’s How! As promised, Apple has just taken the wraps off the OS X 10.10 Yosemite Public Beta, allowing non-developers to try out the as-yet unfinished Mac software. Details on how you can get involved in this limited beta trial are below. In the run-up to this year’s WWDC, it became apparent that Apple would be changing the way interested parties could check out Yosemite and future beta releases of OS X software. 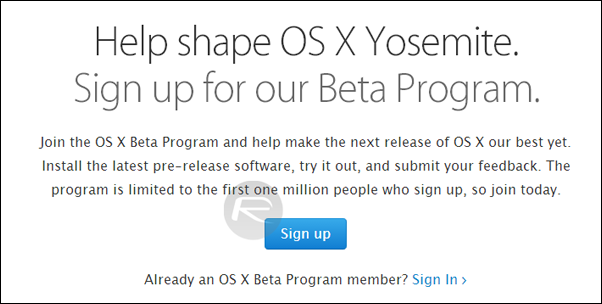 Whereas the deal has always been that folks could try out betas and preview releases under the $99-per-year Developer Program, Apple decided to introduce the OS X Beta Seed Program for the general public. 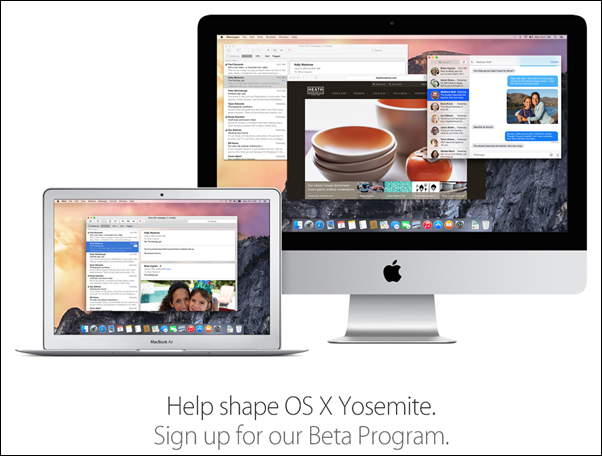 The process for signing up to the OS X Beta Seed Program is fairly simple, and we’ve covered these steps in the past. However, with the beta having just released, things are getting a little more serious – particularly given that Apple is only opening the beta program to one million users – and as such, we’ve got a step-by-step tutorial for you right here. Step 1: Go to: appleseed.apple.com/sp/betaprogram using Safari on your Mac. Step 3: Once you’re signed in using your Apple ID, scroll down to the bottom of the page and click on the blue “Get OS X Yosemite Beta Redemption Code” button. Step 4: You’ll be taken to a new screen where you will be presented with the necessary instructions on how to download and install Yosemite. At this point, make sure your Mac supports Yosemite. Once you’re ready, tick the little checkbox right next to the “I have read the above and understand the limitations of using this beta software” under the “Download and install Yosemite Beta” heading, and you’ll be presented with the Yosemite Redemption Code, after which you’ll want to click on the “Download OS X Yosemite Beta” button. 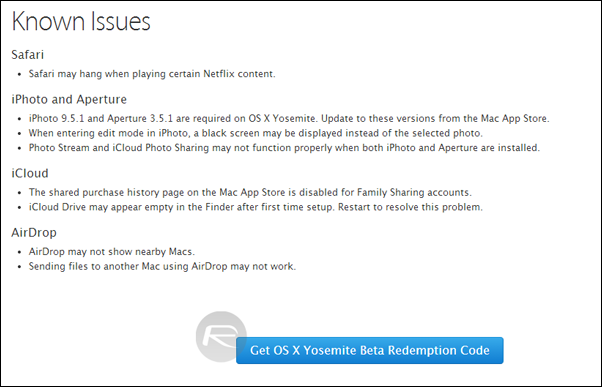 Step 5: Once you click on the “Download Yosemite Beta” button, the Mac App Store will launch asking you to enter your redemption code. Enter it, and Yosemite beta will start downloading. And that, as they say, is that. We’ll be checking out the new beta over the next few hours, and in turn, letting you guys know of our first impressions. Be sure to do likewise by dropping a comment below! I can’t stand the trash folder, it’s just white and ugly I liked the old normal silver one. Also the go menu everything is just bland, no color. It’s a pretty good Mac OSX though, personally I prefer Mavericks for now maybe it has to grow on me. I hope they change the trash folder and make it normal again. Anyone else think its wierd that the MacBook Air in the instructions have a 16GB DDR3 memory?